When the latest android app (ver. 2.4.4) is installed on the android phone, the Wear App is automatically installed and synced on the connected wear watch. 1. 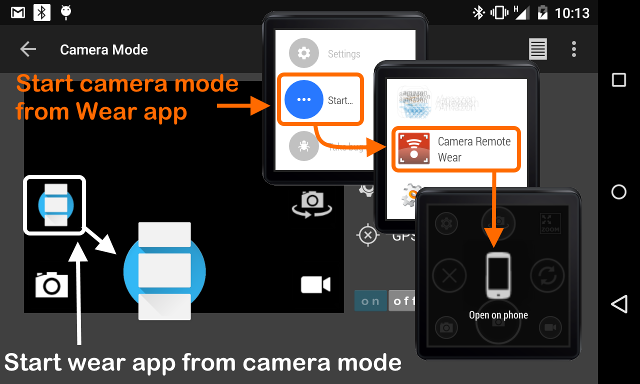 For the first time wear app connection, please try to open (connect) camera remote app from Wear Watch for the wear app initialization. 2. If wear app is not appearing at the watch, open android wear app from mobile phone; then Resync apps from settings. Or, try to uninstall and reinstall the Camera Remote Android app. 3.  To run camera remote wear app properly, the newest Google Play Service is required on the wear watch. The newest Google Play Service will be automatically pushed on the wear watch when the latest camera remote android app is installed. To see the google service version, from the wear watch; go to settings >> about >> software version, and click the software version. The google play service 6.5.9+ version is required. 3. Wear app is in the BETA version, and there may have some bugs. Please report me any issues and/or for better wear app useage and improvements. 4. In the future updates, more remote control functions will be included in the wear app. There are two methods to start and connect wear app. 2. From Camera Mode, click the Wear app icon. 3. 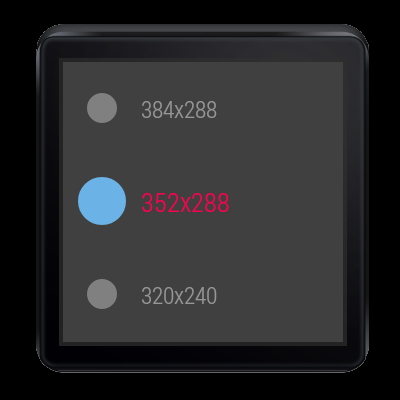 To show the control buttons, click the background image; the contol buttons will be hidden after few seconds for better preview experiences. To end or close apps, just swipe out the current wear app; then both camera mode and wear app will be closed. From Camera Mode, click the wear app icon again to close wear app. 1. 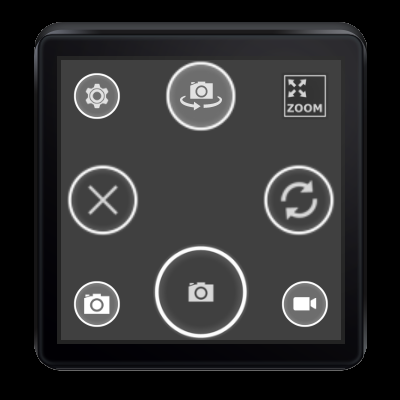 Remote camera control, including photo and video recording. 2. Change remote camera, front or rear. 3. 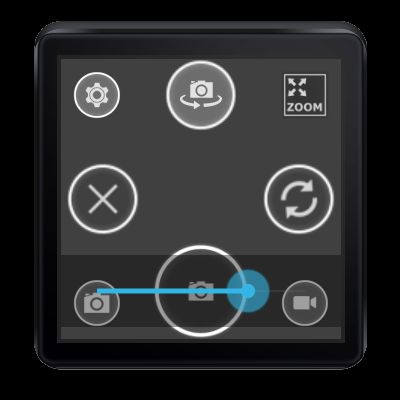 Remote camera settings; photo, video, and preview size, focus mode, flash mode. 4. Stop or refresh remote camera. 1. Click zoom button to open zoom control. 2. 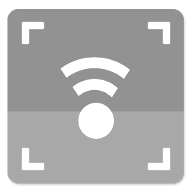 To hide zoom control, click the zoom button or click the image again. New Web Controller, requires android app version 2.4.x and above. Old version is still available for the older version android app users.